Recently I wrote two pieces about the importance of educators holding each other accountable for attending to issues of equity and justice. We are, after all, teaching the future leaders of our nation. In my current work in teacher education, I am also helping to prepare future educators to teach with justice in mind. For too many of them, our program has provided their first experience thinking in justice-oriented ways. Their responses range the full spectrum: Some feel angry and defensive; others are frustrated or confused; and some react with enlightenment and excitement. Recently I asked my colleague Taryrn Brown, a fellow teacher educator, to join me in illustrating what we encounter while helping to prepare teacher candidates, especially those who come from an educational background where equity and justice was not a focus of their K-12 learning. What follows are comments made about equity by teacher candidates in our classes, along with our reflections on the context and significance of each. Context: This was said in response to a teaching scenario where a teacher could see that a student was attempting to abandon her cultural identity in order to fit into the school context (changing their name, dissociating themselves from food and customs related to the culture, etc.). While the teacher in the scenario did not blatantly verbalize any hierarchical acceptance of one culture over another, she also did not outwardly address the diverse cultural identities experienced by the student. This resulted in thestudent feeling as though she needed to align herself with the dominant identity to be valued and accepted. Significance: The future educator misunderstands that the roleof the teacher is, in fact, to celebrate and embrace various cultural perspectives so that students do not feel alienated or pressured to conform to the norms around them. The future educator is likely to continue to overlook the importance of valuing diverse cultures in the classroom, and broadly contribute to cultural erasure. How to help: Teach your students how to value and appreciate all cultures. Make sure there is space in your classroom where all students feel that their culture has value. Context: This was said during a discussion about religion and schools. One future educator implied that his previous teachers had situated their Christian faith in classroom activities as the superior and/or true religion, even going as far as leading students in prayer. Significance: Because the future educator witnessed these actions by his teacher, he deems very inappropriate and illegal behavior as appropriate. As educators, we are teaching students so much more than that which is written in a lesson plan. In fact, it can be argued that students learn more from our behavior and interactions than anything else. When we engage in illegal and exclusive practices, we give permission for future educators (and students) to do the same. How to help: Model the behavior you would want future educators to practice. Refrain from similar illegal activities. Context: Statistics about graduation rates, school discipline, and academic achievement were shared as part of a case study for a district that is largely zoned by race and economic status. The future educators were asked look at the details of the district provided in the case study and consider what options were available for improvement. In a fit a frustration, the future educator blamed the Black people in the community for challenges experienced by Black-majority schools, citing that his own school was good because his community was supportive. Significance: The future educator immediately casts blame on the people of the community without considering the multitude of factors that contribute to school success. The selective consciousness of this future educator was fueled by his experience. 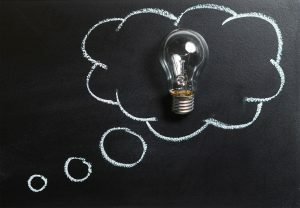 If educators are not challenging students to think beyond their own experiences, they prepare them to fall into the trap of critical thinking avoidance, a behavior that only serves to perpetuate inequity. How to help: Give students the opportunity to think critically about systems and learn about the experiences of people who are different than they are. Context: This was said in response to a teaching scenario in which the teacher education students were participating in class reflection time. During this time, the students were asked to think about how topics of equity and justice could be infused into their future classrooms. The teacher education students felt that the objectiveness of math and science limited their ability to incorporate different content and materials. Significance: The future teacher educator is reluctant to incorporate issues of equity and justice in their future classrooms because they lack exposure to the ways in which this can be done. IT CAN BE DONE. And it should be done regularly in their K-12 classrooms so that the concept is not foreign when students are asked to call upon this type of thinking in their future classes. How to help: Make sure your lessons incorporate topics related to justice and equity in every subject, including math and science. Context: This was said in response to a moment of reflection during a group processing activity in which future educators were discussing their personal experiences connected to their learning for the day. The topic was gender inequity. The dominant curriculum that is present in most public schools often limits opportunities for students to engage in justice-oriented thinking. Those who were exposed to learning about issues of equity and justice shared their frustrations that other students lacked awareness of critical issues, especially of populations that have been marginalized. Significance: Future educators are frustrated that they have not been adequately prepared for discussing issues related to justice, but they are excited to begin learning about it. Without significant opportunity to explore issues of equity and justice, future educators miss opportunities for growth and development. They are excited to learn about how to teach in ways that directly impact society, but they feel like they are at a disadvantage because they have so much foundational learning to catch up on. How to help: Talk about equity and justice because there are students who want to confront those issues head on. There are also students who have little idea that those issues exist. Do not leave them in the dark and unprepared. Educators who do not attend to issues of equity and justice in their classrooms are doing a great disservice to the future leaders of our profession and to the students they will one day teach. As teacher educators, we work diligently to open their worlds to new ideas and new ways of thinking. But what we really need is for our K-12 partners to start the pipeline of justice-oriented thinking long before they get to us. 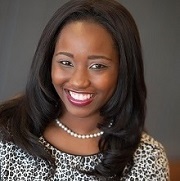 Jemelleh Coes is the 2014 Georgia Teacher of the Year. She is an instructor in the Educational Theory and Practice Department at the University of Georgia. Taryrn Brown is an instructor in the Educational Theory and Practice Department at the University of Georgia.